Created for industrial, HVAC, and facility maintenance. 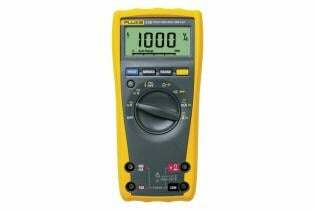 Rugged true-rms multimeter with a built-in thermometer to troubleshoot electrical and electromechanical problems plus a laser guided, non-contact infrared thermometer for measuring rotating or energized equipment, packed in a durable carrying case. The Fluke 179 True RMS Digital Multimeter is the industry standard for troubleshooting and repair of electrical and electronic systems. Measure twice as fast as other multimeters with Fluke 177 Digital Multimeters; digital display with analog bar graph and backlight. 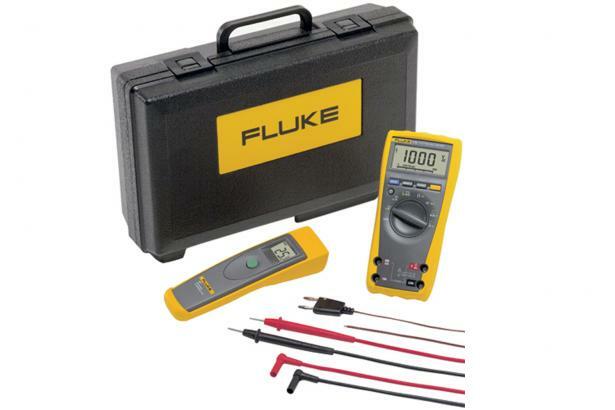 The Fluke 175 True RMS Digital Multimeter the baseline meter for troubleshooting and repair of electrical and electronic systems.